Jonathan Davis is getting ready to release his debut solo album, but Korn fans can rest assured new music from Korn is also in the works. The Korn frontman has confirmed that the band is currently working on their next album, telling Australian radio station Triple M’s Ugly Phil that the band is currently writing the new tunes. The upcoming album will mark Korn’s follow-up to 2016’s “The Serenity of Suffering,” the band second with original guitarist Brian “Head” Welch back in the fold. 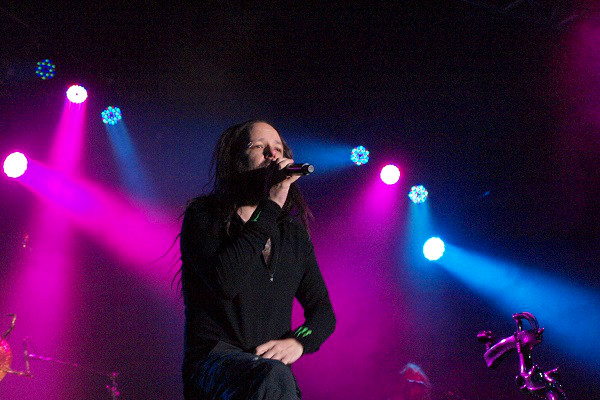 “The Serenity of Suffering” was Korn’s 12th studio release. Meanwhile, Davis will release his new solo album, “Black Labyrinth,” on May 25 on Sumerian Records. Davis will also hit the road on a world tour to support the solo collection beginning with an April 6 date in Portland, Oregon, and running through a May 19 gig in Camden, New Jersey. Find the full roster of tour dates on Davis’ website.